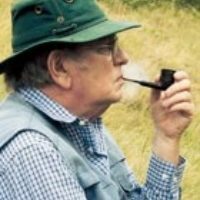 Jack Keighley is a Lancastrian who for many years has lived in Yorkshire and has derived great pleasure from walking in the Dales- one of England's most beautiful and spectacular natural areas. Subscribe for Cicerone's latest news, articles, offers and competitions. We send an email every couple of weeks and you may unsubscribe at any time. We never send emails on behalf of third parties. Browse and purchase our full range of guidebooks in our downloadable Catalogue.